The entire time I was cutting these, I couldn’t help but sing the Video Game Heart song over and over. Pixelated hearts just always remind me of a heart in an old school video game, like when you’re trying to see how much life your character has left. They also remind me of Jessica’s Pixel Pop Dev (former?) website that was full of cute things. They also remind me of making things out of perler beads and how you can never fully get something to look the way you think it should unless you make it enourmous and buy 3874986 packs of perler beads, risking the cashier flagging you as a potential psychopath (which is why they have google shopping express…let someone else look like the psychopath for a change, right?). 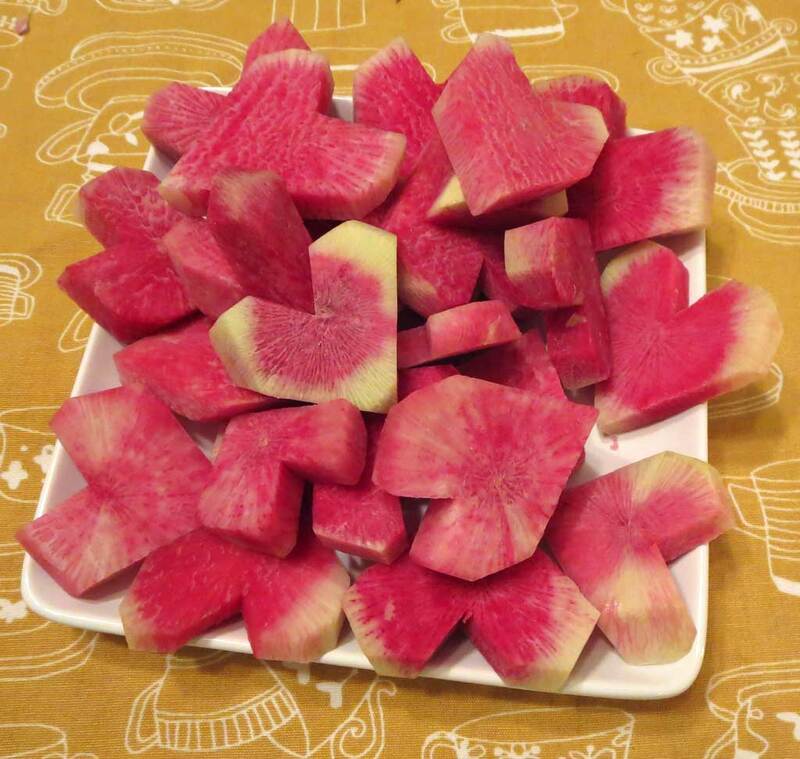 Perler bead hearts kinda resemble these watermelon radish pixel hearts. The first time I ever tried to eat a watermelon radish, I didn’t know that the skin was the part of it that made it spicy so I thought I would have to add them to the list of things I couldn’t enjoy because of the well-known fact that I’m a spice wuss. However, now that the secret has been revealed, I just peel and compost the outer eighth to a quarter of an inch. I know, I know, all the nutrition is in the peel, but if it’s the difference between having this pretty root veggie in my life or not, I choose to sacrifice some of the nutrients. 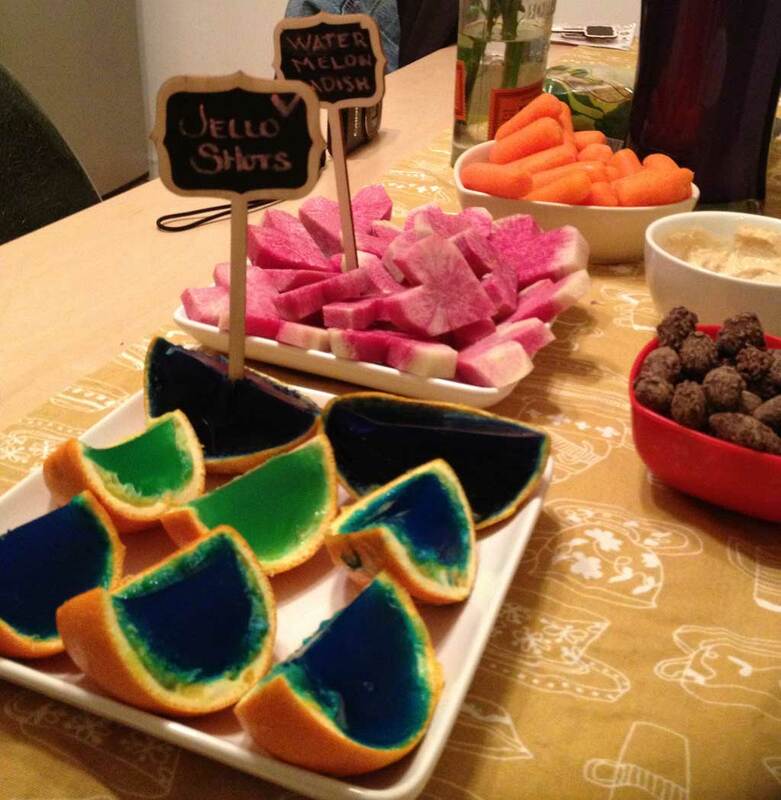 Besides, the other vegan snack I made for NYE were jello shots in the form of orange wedges, so after about 5 of those, concerns of nutrients tend to become less prominent. 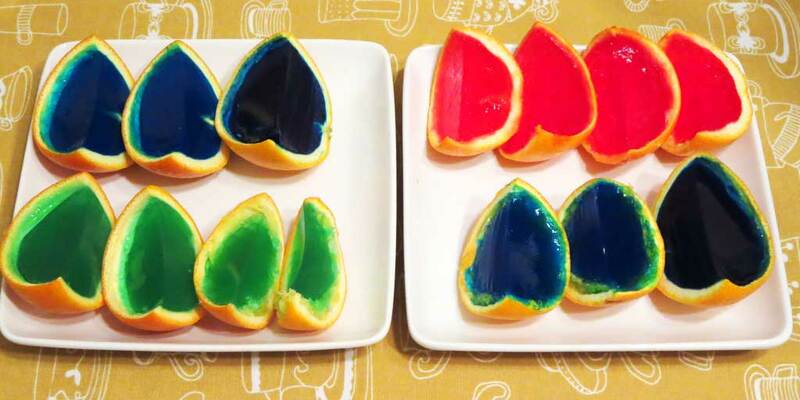 I made half the jello from a box and the other half from scratch using agar. I highly recommend only making it from scratch. It came out way better. Sidenote: one of the snacks we had was those chocolate covered sea salted almonds from TJ. If you haven’t had these, you MUST get some. They are ridiculously delicious and also slightly addictive. And when I say slightly, I mean they are like crack. Delicious crack. Is TJ still open?